​If a fellow football fan was to ask you to guess which Premier League footballer had covered the most distance on average, per league game this season, you'd probably plump for a couple of obvious names. ​Chelsea's N'Golo Kante, Burnley's George Boyd and ​Liverpool's Jordan Henderson are usually all up there, so one of those should be crowned the outright winner, correct? Well, you'd be wrong on all three counts. The player to have covered the most ground, in kilometres, throughout the 2016/17 campaign is none other than ​Tottenham playmaker Christian Eriksen according to official Premier League data recorded by Opta (via ​Dream Team). Yep, we're just as shocked as you are. The Spurs and Denmark maestro, who incidentally has covered the most greatest total distance with 418.88km from Tottenham's 37 matches, has covered an average of 11.97km per league encounter - a league high that puts the likes of Kante and Henderson in the shade. Liverpool's club captain, who has been out of action since Feburary with a niggling foot injury, isn't far behind Eriksen in the standings, however, with the midfielder averaging around 11.92km per game. 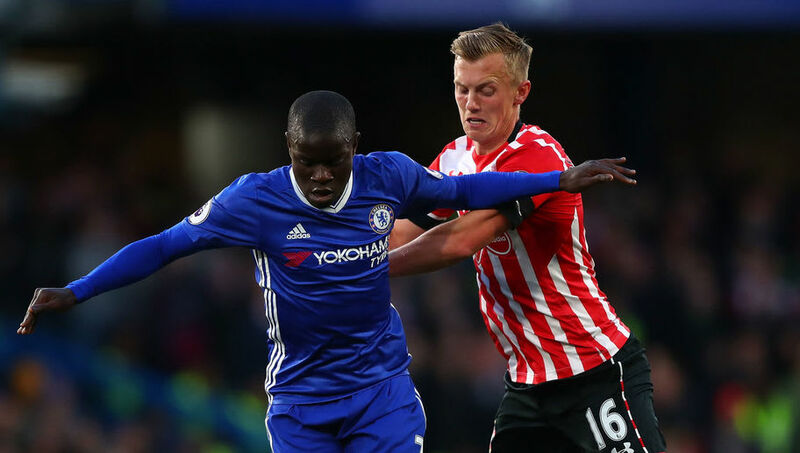 Kante's Chelsea team-mate Marcos Alonso is, slightly surprisingly, third in the table with an average of 11.65km, and is chased - not literally - while Kante and Liverpool's James Milner find themselves making up the rest of the top five. The data, which took into account English top flight players who had featured more than 10 times for their clubs this term, certainly has a trend that leans towards midfielders and full-backs covering the most ground which, given their current roles in starting lineups up and down the country, should be an expected trend. We imagine there will be some hotly contested arguments about this data, but facts don't lie. Who would have envisioned Eriksen leading the way though, regardless of Mauricio Pochettino's desire to see his teams press across the park? Which Football King Are You? You're Lionel Messi. You were destined for greatness from the start. You've got vision, skill, and are widely considered one of the best of all time. You're Cristiano Ronaldo. You're extremely talented, cocky, and it's impossible to stop you scoring. With millions of adoring fans following you on social worldwide, your ego only just fits into the Bernabéu. You're Paul Pogba. Part of today's social media generation, you're young, confident and can't help but do a cheeky dab either. Oh yeah, and you've got talent for days. You're Zlatan Ibrahimovic. You're strong-willed and physical, yet have a silky smooth touch for a big man. You're a superstar everywhere you go, and to call you confident would be an understatement. You're Neymar. You are Brazil's prodigal son, with charisma, charm and lightning quick feet - not to mention a massive social following. Always up for a Samba, too! Which of these best describes you as a footballing king? Where do you spend your time off the pitch? Which one of these former football kings do you admire most?